Day four was our travel day back home from Disney World. Ever the cheap frugal travelers, we opted not to get park tickets for this day since we'd only get a few hours in before we had to leave (and I prefer to get my money's worth, especially when park tickets for the three of us totaled over $300 for each day). Instead, we booked brunch at Chef Mickey's for our last morning - this gave us the opportunity to see all the characters one more time without actually having to purchase park tickets. It worked out perfectly for us, and I would highly recommend doing this if you're headed out mid-day like we were. We were able to sleep in, then check our luggage right at the hotel with Disney's Magical Express. It's set up just like a curb side baggage check at the airport - so that was the last time we saw our suitcases until Huntsville! From there we headed to our 10:30AM reservation at Chef Mickey's, which was conveniently located right inside our hotel (The Contemporary). 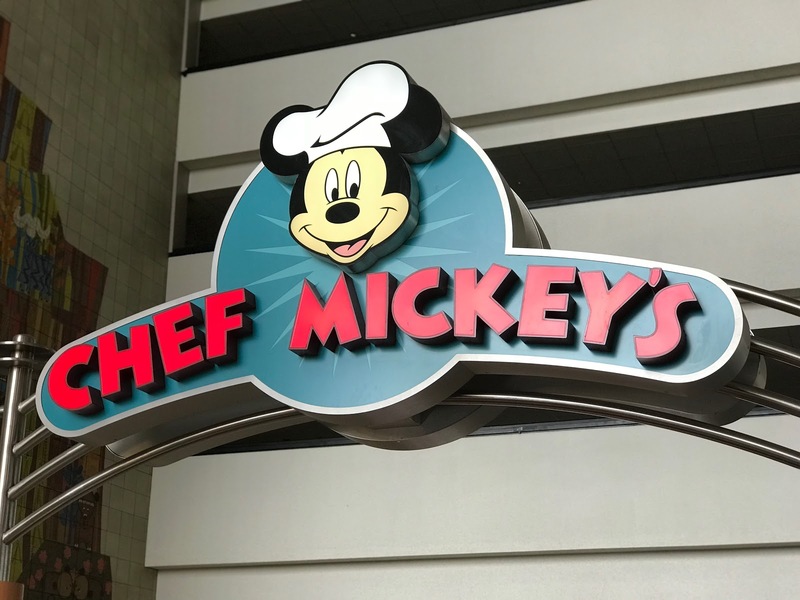 Chef Mickey's is a character meal buffet that charges one table service credit. Again, this is Disney World, and you are paying for the experience and not necessarily the quality of the food (which I'd classify as cafeteria/continental hotel breakfast quality). 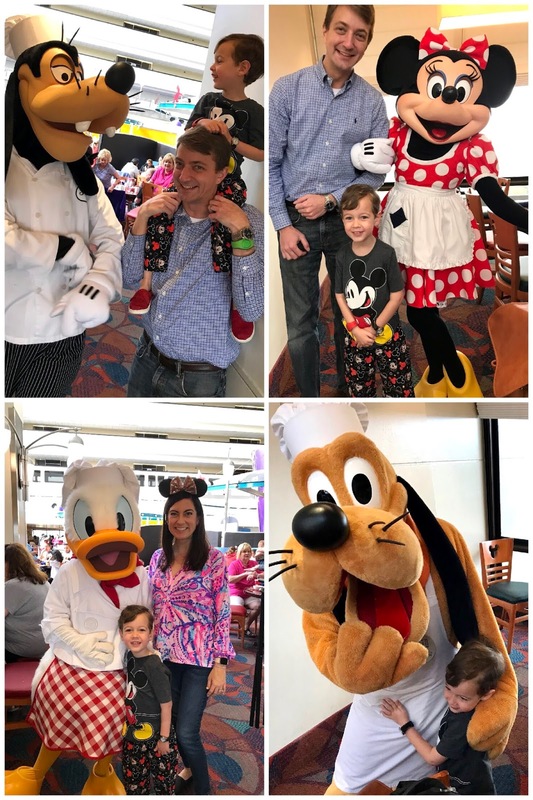 However, this was Parker's favorite meal of the trip because you get visits from the fab five: Mickey, Minnie, Pluto, Goofy and Donald Duck! Also, the restaurant entrance is inside the atrium of The Contemporary, which gives a neat view of the monorail that runs through the hotel. We checked in and had a fifteen minute wait before our table was ready (this was our consistent experience with table service restaurants - so budget this into your schedule when making reservations!). Once we were seated and put in our beverage orders, we hit up the buffet. 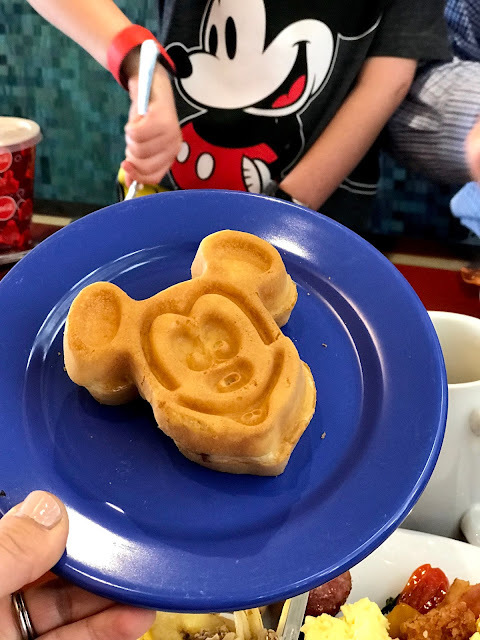 Mickey waffles for the win! Then over the course of the next hour or so, we were visited by the fab five, one at a time - starting with the head mouse! After brunch we headed into the gift shop at The Contemporary (I'm guessing all the resort gift shops are pretty similar). We had several snack credits left on our meal plan, so we used them to stock up on bagged treats to take home. We also picked out a Christmas ornament as a souvenir. This is a tradition Max and I started as newlyweds. Wherever we travel, regardless of season, we can always find a Christmas ornament for sale somewhere. We add on the year with a paint pen, and come December we have so much fun remembering all our past trips. We still had time before our Disney's Magical Express pick-up, so we took the monorail over to The Polynesian resort to look around. I'm so glad we had the chance to look around - The Polynesian was beautiful inside! And I had to squeeze in one more dole whip. Parker opted to stamp a penny. And then it was Magical Express time! Word of warning - the bus may not be labeled as Magical Express. It might say Disney Cruise Line or something else - this was how we missed out first bus. Oops. 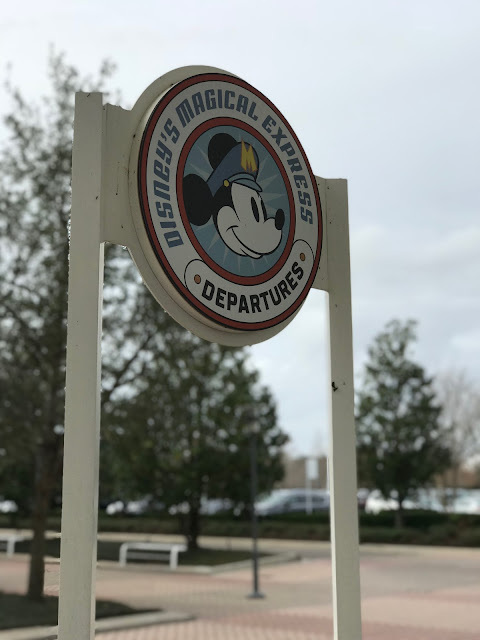 Luckily, Disney gives a big buffer for flight departure time, and we were able to still make our flight with the later bus. Waiting to board the bus to the airport - and sad to say good-bye! 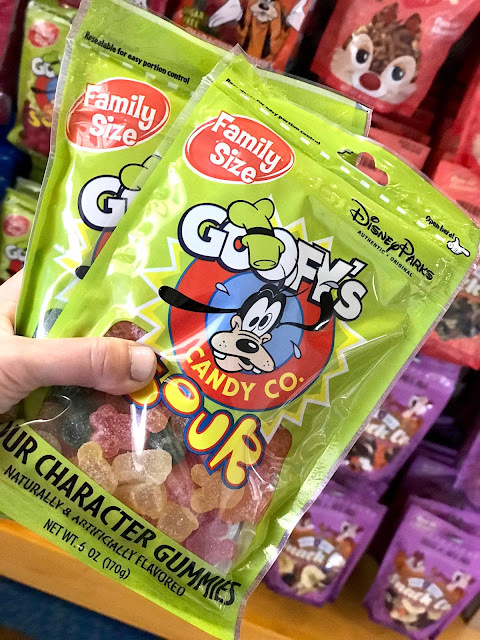 That's a wrap on our Disney World days - read about Day One HERE, Day Two HERE, Day Three Here, and How We Prepped for Disney HERE. Also, come back tomorrow for: Why I Didn't Use a Free Disney Planner! I've loved, loved, loved these Disney recaps! Your last day looks perfect and I totally agree with you about not paying for an extra day when you are only going to be there a couple of hours. There are plenty of other things you can do to get one last Disney experience! What a way to end your trip! We leave for ours on Saturday and we are ecstatic! And I'm so glad you let me know about using your snack credits toward stuff to take home! I would have never thought to do that. And I'm really interested to read tomorrow's post. We did use a Disney planner because I had no idea where to even start. I'm interested to see why you didn't!